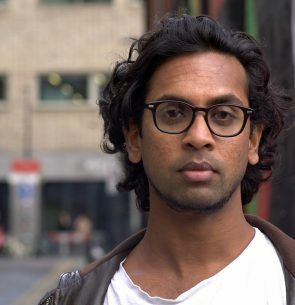 Guy Gunaratne was born in North West London and has lived in Berlin, Helsinki, San Francisco and Malmö, Sweden. He has worked as a designer, documentary filmmaker and as a video journalist covering post-conflict areas around the world. He co-founded two technology companies and has given public talks on new media, storytelling and human rights issues globally. He now lives in Malmo with his wife and two beautiful cats. In Our Mad and Furious City is Guy’s first novel and has been longlisted for the Man Booker Prize and shortlisted for the Goldsmiths Prize, the Gordon Burn Prize, the Dylan Thomas Prize and the Author’s Club Best First Novel Award.